Formally a MODEL Home! 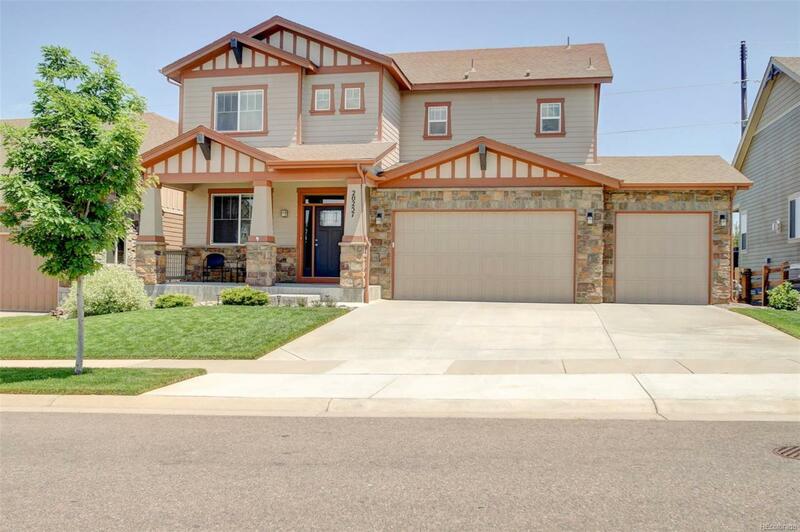 This 3 Beds & 2.5 Baths home is very convenient to CO-83 Parker Road in a nice & quiet area. A 2 story home w/ an UN-finished basement (inc a Bathroom Rough-In) to potentially increase the living space for a growing family. Oversized 3 car garage w/ finished walls and floor coating. Professionally landscaped large yard w/ auto sprinkler system & hot tub.Professional Kitchen w/ island, granite tops, all SS appliances inc gas cooktop & double ovens, water pot filler, recessed overhead lighting, pantry, separate eat-in area. 2 story family room w/ fireplace, separate formal dining, & 2 offices.Upstairs includes Master suite w/ trey ceiling & fan, sitting area, & 5 pc private bath. Additional 2 bedrooms & full bath plus a laundry room.+++Very lovely home w/ attention to details & care is very apparent!